MailerQ is a Mail Transfer Agent (MTA) designed for delivering large volumes of email messages at high speeds. It is built on top of AMQP message broker RabbitMQ, and promises flexibility without compromise to stability or performance. The software is available as a one month trial to third parties, which allows them to send up to 1000 emails per minute. Extended unlimited trials can be requested. MailerQ has an enterprise edition, which does not set a limit on the number of messages the user can send per hour. MailerQ also offers a plug-in API, which allows users to extend the functionalities of the MTA. Are you looking for an MailerQ alternative for your email marketing? We listed some MailerQ alternatives. 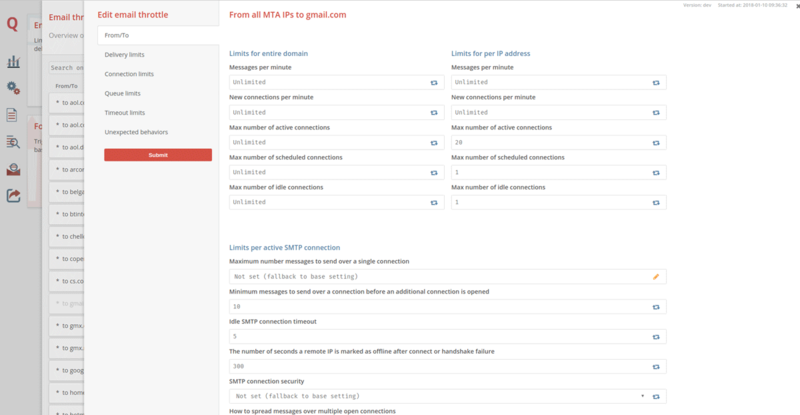 MailerQ limits the number of send attempts, connections and the number of messages over a single SMTP connection to specific domains. MailerQ returns messages that cannot be delivered to RabbitMQ. Here they are stored in temporary queues and retried automatically. MailerQ supports DKIM. Store your private keys in the database or add them using the MailerQ management console. MailerQ also handles ARC. ARC preserves email authentication results across subsequent intermediaries (“hops”) to verify the indirect mailflow when messages reach their final destination. Results are queued the same way as your messages are. All delivery results, successes and failures will be there, waiting to be processed. 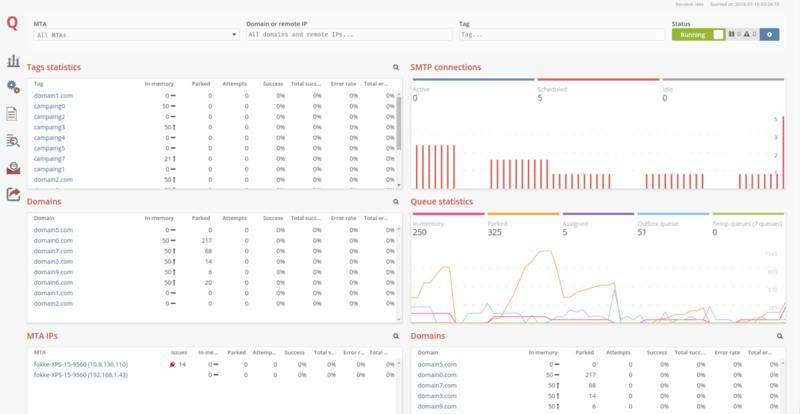 MailerQ uses RabbitMQ for queuing messages. Adding filters allows you to have full control over queued messages. Specify from which IP addresses an email can be sent. If the first IP address is unavailable, MailerQ will automatically send your email from the next available IP address. 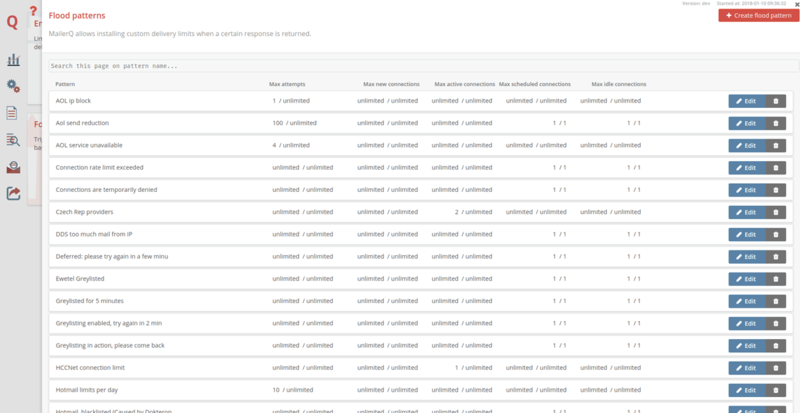 When MailerQ instances are placed in sequence (chaining), messages are sent from one instance to another through SMTP. Messages can be filtered and modified by adding your own scripts. MailerQ instances can also be clustered. The different instances of MailerQ will communicate through a shared message queue.